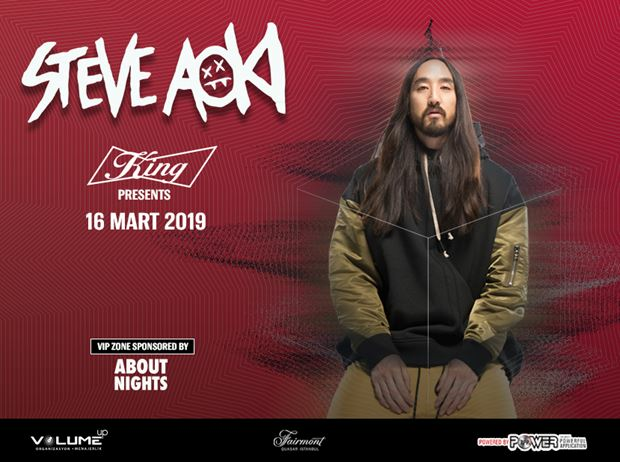 World-famous 2-time Grammy nominee DJ and producer Steve Aoki will be performing at Volkswagen Arena’s over-the-top atmosphere on March 16th! Having worked together with many well-known names, such as Will.i.am, Afrojack, LMFAO, Linkin Park, Iggy Azalea, BTS, Vini Vici, Fall Out Boy and Kid Cudi, Steve Aoki has made it on Billboard’s music lists with almost all of his albums. He founded the record company Dim Mak Records in 1996, which became one of the leading independent record companies within the last 20 years. His album “Wonderland” released in 2013 was nominated for a Grammy for the “Best Dance/Electronic Album” category. Steve Aoki’s music has been on DJ Mag’s top 10 lists for the past 5 years. With 168 shows in 41 countries in 2012, he won a Guinness World Record for being the most-travelled musician in one year. To this date, he has performed an average of 225 times every year worldwide. He began releasing his “Neon Future” album series in 2018, touching on the themes of biotechnology, electronic immortality and the mutual relationship between humans and machines.